A small eastern central European country that until 1993 used to be the south-eastern half of the CSSR, or Czechoslovakia, before the country split into two independent states (the other being the Czech Republic), both of which are now part of the EU and NATO. Up to the end of WWI, Slovakia had been dominated by Hungary for almost a millennium and also formed part of the Hungarian half of the Austro-Hungarian Empire. With that empire's dissolution after WWI, Slovakia joined up instead with its Slavic Czech neighbours as the new state of Czechoslovakia until WWII, and again after that war's end as the Czechoslovak Socialist Republic (CSSR). Until the so-called Velvet Revolution that in late 1989 brought an end to communism in the country (see also Prague), the CSSR was part of the Eastern Bloc and the Warsaw Pact. 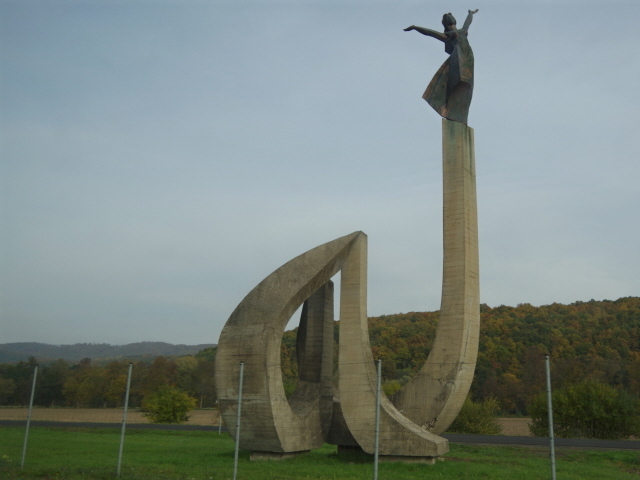 Being located on the outer edge of that Bloc, it shared a stretch of the Iron Curtain border with the West during the Cold War era. Slovakia's capital city Bratislava was in fact just a stone's throw from that border, namely with Austria, lying just 30 miles (50 km) east of Vienna. Relics from that time, including bits of the Iron Curtain itself, are among the major attractions that Bratislava and its environs have to offer dark tourists. Other points of interest relate to the pre-Cold-War times, in particular WWII, when Slovakia had already had a go at becoming an independent state but ended up a de facto protectorate of Nazi Germany. After the failed National Uprising against Nazi rule in 1944, Hitler's Wehrmacht properly occupied Slovakia – and carried out heavy-handed reprisals – until the country's liberation by the Soviet Union. Nevertheless, the Slovak National Uprising, or SNP (for 'Slovenské národné povstanie') became a major defining part of Slovakian national identity. The “heroic resistance” was duly celebrated under communist rule (even though the role of the Soviets in the failure of the uprising remained a sore point, which the communist authorities subsequently suppressed) and is still present in contemporary Slovakia, for example in many names of streets, squares and buildings. Slovakia is on the one hand one of the most forested countries in Europe yet it has long been one the most industrialized regions at the same time. This is still the case (for instance, no country on Earth produces more cars per capita!). However, during the communist era, Slovakia was even more characterized by its heavy industry – as well as arms production. The price for this was a serious pollution problem that Slovakia became infamous for internationally. Locally it led to whole towns and villages being abandoned due to the health risks – for instance the village Horne Opatovce, which gradually fell victim to being the neighbour of a new giant aluminium plant. The plant is still there, and right next to it you can visit the old village's cemetery. 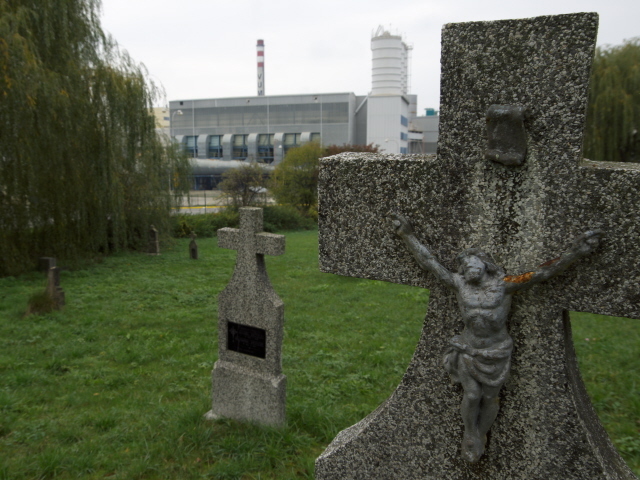 The juxtaposition of old grave monuments and the backdrop of the monstrous aluminium plant just behind them is certainly of exceptional atmospheric bizarreness. The old settlement itself has completely disappeared except for its church (which is in a bad state though) and a small memorial commemorating the vanished village. [48.559, 18.851] - church and memorial. 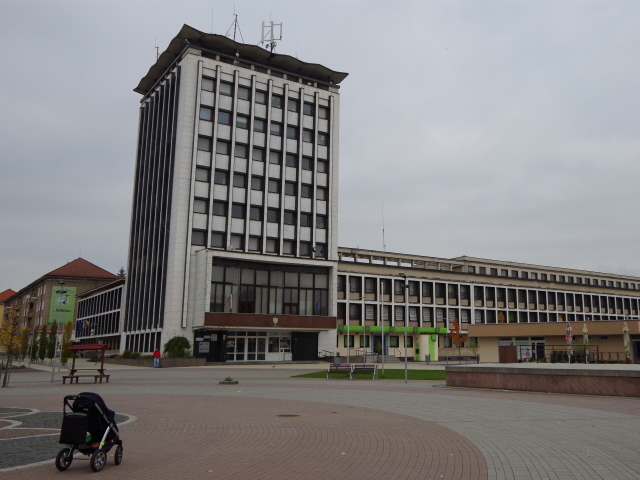 The nearby new town of Žiar nad Hronom, in contrast, is a prime example of a planned socialist town and still sports a central square lined with buildings of the archetypical architecture of that time. A very early example of socialist planning was the so-called “Railway of the Youth” (or simply “Track of Youth” – 'Trať Mládeže' in Slovak). This is a stretch of railway line constructed shortly after the end of WWII, by thousands of young “enthusiastic volunteers”, as the party propaganda would have it, and opened in 1949. The station at Banska Stiavnica has a small exhibition about this – and a stone monument of a bare-chested young worker outside. 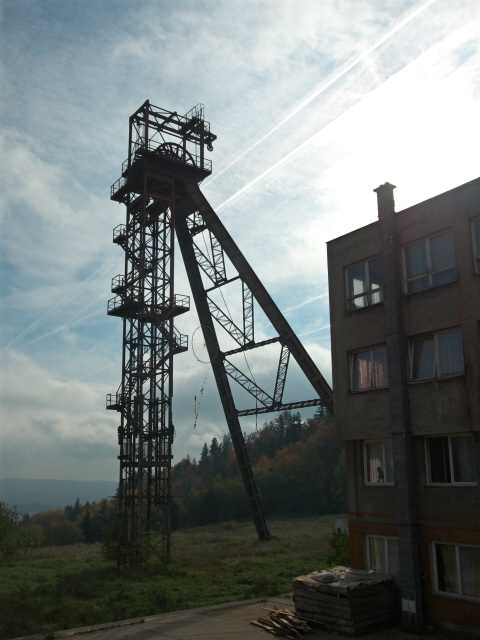 Other remnants of Slovakia's industrial heritage provide some opportunities for “urban explorers”, namely the various abandoned industrial plants which were closed after the fall of communism, either because of pollution or because they became economically redundant, especially in the arms manufacturing sector – see e.g. 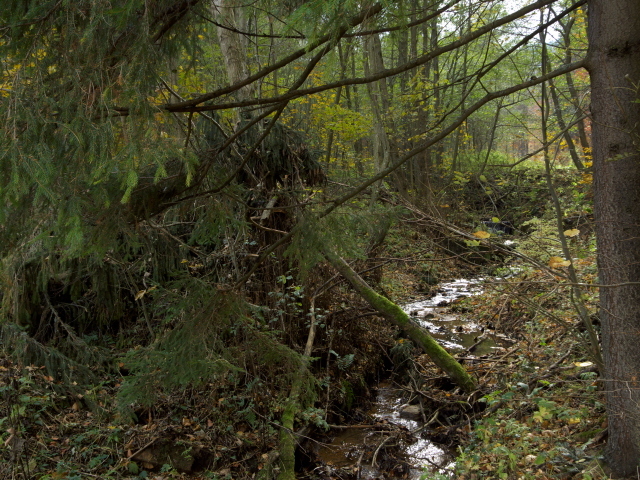 Dubnica. 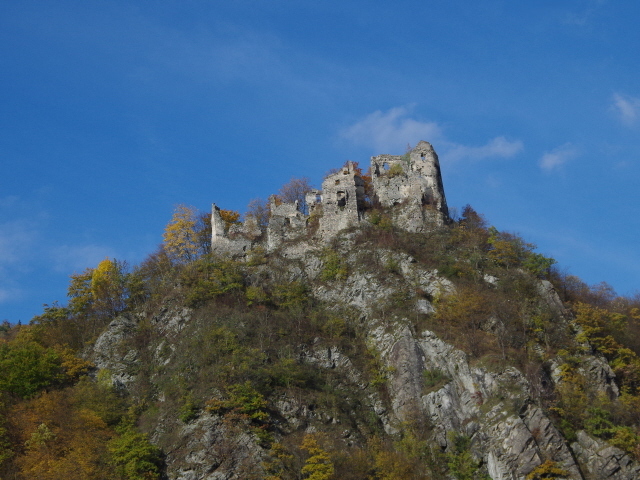 Of yet more allure to some dark tourists may be the castle ruins of the former home of the “blood countess” Elizabeth Bathory, which in Slovak is called Čachtický hrad. Bathory's legacy is indeed an extremely dark one, namely as the most prolific female serial killer of all time. The legend also has it that she literally bathed in the blood of her virgin victims – although that is probably more myth than fact. Often likened to Vlad the Impaler and his fictional offspring Dracula, Bathory has certainly become a key character in dark folklore (in 2008 it was also made into the most successful film, simply entitled “Bathory”, to ever have come out of Slovakia). From the point of view of the concept of dark tourism applied on this website, however, it is debatable whether her castle (where she was also imprisoned after her arrest) really qualifies as a genuine dark-tourism destination, given that the legend dates back to the late 16th century. Moreover, the castle has long been in ruins, so there is little to see that is actually related to this legacy. Still, some dark tourists more inclined towards older horror stories such as this may get a kick out of visiting those castle ruins. Slovakia has quite a decent tourist infrastructure, but the language barrier can in many places be an issue. 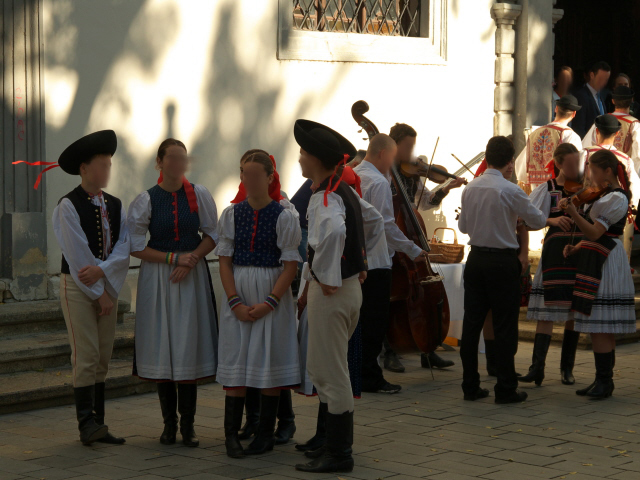 In more touristic parts, English (or German or Russian) may be understood, but getting more off the beaten track without knowing any Slovak can prove difficult. 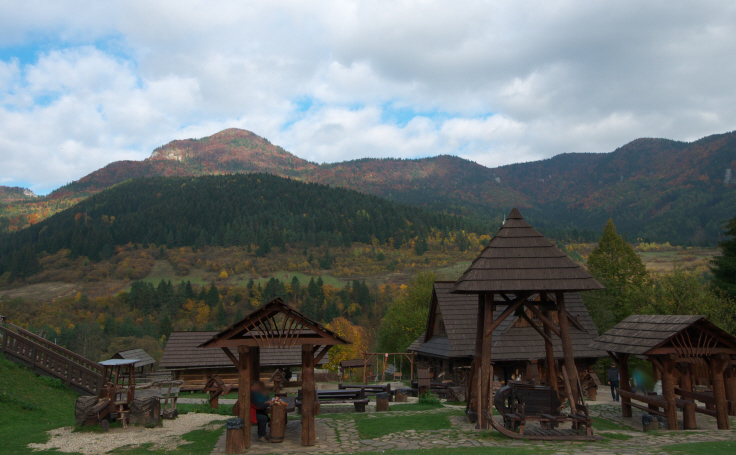 Slovakia is still a comparatively affordable place to travel in. The capital Bratislava may have caught up with general European price levels (though good bargains can still be found there too), but out in the countryside you can get quite far on a low budget. Accommodation can cost as little as 10 EUR a night (and rarely more than 50 or 60), and restaurant meals are also generally quite cheap. Getting around the country is affordable and easy by train or bus. 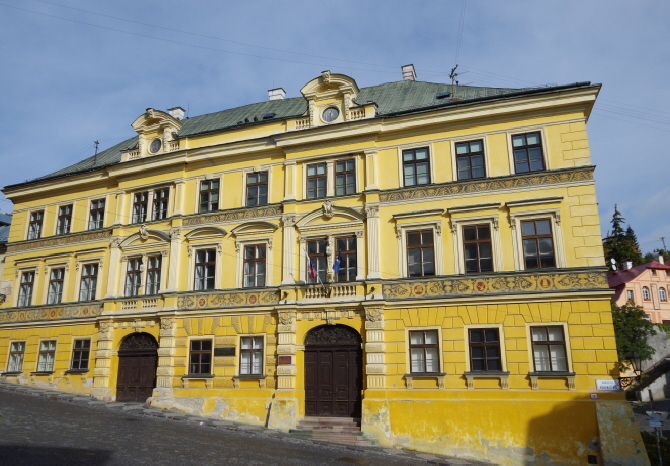 But to get to most of the above-listed places outside the cities you will need your own vehicle – or be on a guided tour that includes transport (such as Authentic Slovakia's longer tours into northern and central parts of the country). Slovakian food & drink is a mixed bag of blessings and curses. On the one hand Slovakia is a much too underrated wine-making country where you can find excellent table wines for very little money. Good beer can also be found – as long as you stay away from the big brand names and search out the vibrant microbrew scene (for which prices vary a lot). Food-wise the bad news to some is that Slovakian cuisine is extremely meat-heavy. Vegetarians will also have trouble getting by because even the concept of not eating any meat is hardly understood in many places. I've frequently seen dishes listed on menus under the vegetarian heading but still containing ham, bacon or chicken. And even in nominally meatless dishes you can still be presented with the surprise addition of a slice of ham lurking inside the fried cheese (happened to me too). Fried cheese, incidentally, is otherwise one standard dish that can often save you as a vegetarian in Slovakia – it is an omnipresent part of the national cuisine (I've lost count of how often I've had it over there). Cheese in general is widely available and can be very good too. Gnocci-like dumplings with creamy sheep cheese sauce is a common dish too – but again is typically served with fried bacon on top. All that said, though, the situation for vegetarians has improved noticeably over the past decade or so. Vegans, however, will still have major problems. And meat eaters? Well, amount clearly seems to take precedence over quality here, going by the looks of all the meat dishes I've seen. So discerning carnivores will also not necessarily be in heaven here. But if you like it rustic and calorific, Slovakian cuisine is easily just as good as or better than that of the neighbouring countries (Austria, Hungary, Ukraine, Poland, Czech Republic). 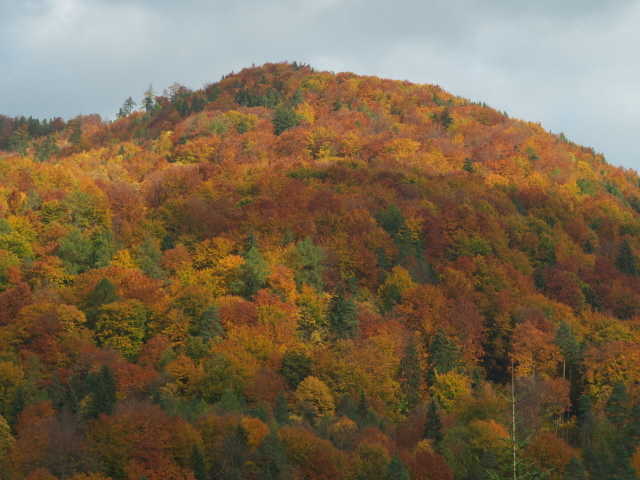 The climate of landlocked Slovakia is typically continental, with hot summers and potentially cold winters and only short spring and autumn interludes. Geographically, there are stark differences between the low flat plains of the south and east as opposed to the much more mountainous north. The top of Slovakia is the High Tatras, a short but very Alpine-looking mountain range (with its highest peaks reaching nearly 3000 feet / over 2600m). Rock climbing, mountaineering, hiking and winter skiing activities are much exploited, for those who like those things.